Every once in awhile you need to stop and take a look back. To take inventory. To measure your successes. To celebrate your accomplishments together; as a group. Colorado Trout Unlimited’s 50th Anniversary officially kicked off January 1 of this year and now is exactly the time for us to showcase our accomplishments. As you read this, keep in mind all that you have done together with your fellow members. Think about everyone else that has created so much in each of the 49 years before this one. This year we will be using our limited edition 50th anniversary logo. 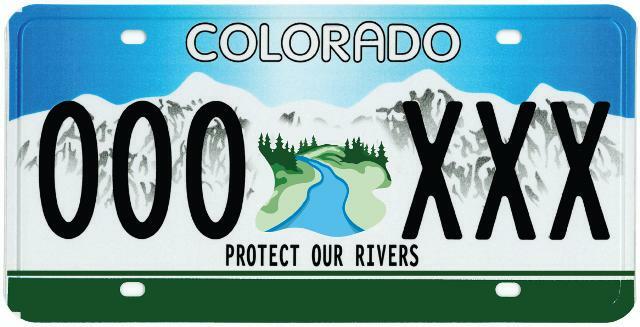 In August of 1969 a small collection of visionaries gathered in Vail and formed Colorado Trout Unlimited with this mission statement: To Conserve, Protect and Restore Colorado’s cold-water fisheries and their watersheds. We now boast approximately 12,000 members statewide who participate locally in 24 chapters. How does that compare? Colorado has the second highest number of Trout Unlimited members in the country second only to Pennsylvania. We are committed to carrying on the mission and to inspire other visionaries to join us. In 2018 Trout Unlimited in Colorado invested more than $4,700,000 towards our mission. In addition, we have organized 45,000 hours of volunteer service, conducted more than 100 youth education programs and events, 60 conservation projects and 40 veterans service projects. You did that. Each of you. You are a positive force accomplishing our mission. There are countless stories of our positive impacts. Some are high profile efforts like the “Save the Fraser” campaign or the defeat of Two Forks Dam. Some go largely unnoticed – except by the trout that benefit. Some are as simple as picking up a piece of trash as you peacefully walk stream side. It all goes to the common good. As a part of our celebration, we invite you to submit stories and pictures to share from your TU experiences. Now is the time- share your passion, your excitement and your accomplishments. Big or small, we welcome your submissions (coloradotu.org/submit-your-story). We will be showcasing them throughout the year- our 50th anniversary year- with members and nonmembers alike. You should be proud of yourselves. Our accomplishments are something to be shared. Capture the positive energy and share the TU story with somebody who might not know about us. The next visionary might just be in your network. The next new member is waiting for your inspiration. Thank you for all that you have done and all that you will do in the future. The next 50 years starts with you. CTU’s next chapter continues with your passion.